Like so many post-secondary students, Chris Noll and Adam Gerrits were money-conscious, especially when it came time to pay for a few drinks. But the roommates took their lack of funds a step further than most and “out of necessity” decided to make their own cider – an alcoholic version of the treat made from unfiltered apple juice. “We ate Kraft Dinner, and then we spent the rest of our money on the first batch of (our cider) that ever existed,” he reflects. While Mr. Noll and Mr. Gerrits embarked on separate careers after finishing school, in 2013, with their wives’ blessings, launched the Greater Toronto Area’s first craft cidery: Brickworks Ciderhouse. The business was kicked into high gear after what was supposed to be a five-minute meeting with the LCBO turned into a three-hour discussion. 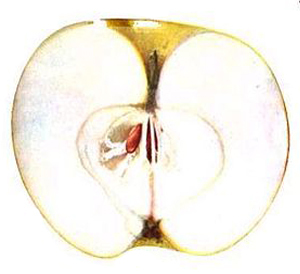 The reason why Brickworks among other Canadian companies have seen success at home is because of the quality of their core ingredient: apples. “The best apples in the world grow in Ontario,” he says. 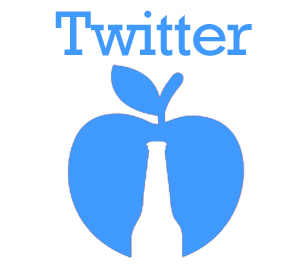 Another part of the sales success of craft cider could be attributed to the natural health movement happening now. It’s gluten-free, and the cideries have benefited from the near $500-million gluten-free industry in Canada, according to a CBC investigation. Pine Farm Orchards will become Brickworks’ official apple farm, and, will play host to visitors who are interested in tasting the cider. Although cider is the fastest-growing sales category in the province, according to the Ontario Craft Cider Association, they continue to face a number of challenges, including competition from overseas. Robert Lee, the Chairman and CEO of Thornbury Village Cidery, says another challenge facing cideries is a political one. Despite these regulations, the room for craft cideries continues to expand. In 2008, there was one craft cidery in Ontario and now there are 19. Mr. Lee says he thinks the growth is a direct result of the “quality of true local craft ciders that are available.” Thornbury, for example, is in the middle of the apple-growing region in Ontario and sits on 7,500 acres of apple trees. Going after the ‘big guys’ is a common challenge in the cider business, explains Nick Sutcliffe of Pommies Cidery, but it’s spurred a working relationship with craft breweries in the GTA. 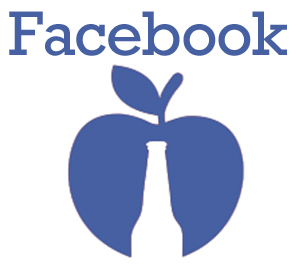 The cideries view their beer-brothers as allies, rather than competitors. Mandie Murphy of Left Field Brewery in Toronto says breweries and cideries are up against the same sort of challenges and are working towards similar goals, hence the mutual respect. The Ontario Craft Brewers industry association has proposed to open specialty shops which would challenge The Beer Store’s current monopoly on most beer sales in the province. Premier Kathleen Wynne says she is open to the idea. The craft beer industry in the province is about 15 years ahead of the cideries, according to Mr. Sutcliffe, allowing them to pursue larger legislation changes. Mr. Noll says he sees why this would be a good move for the craft brewers. 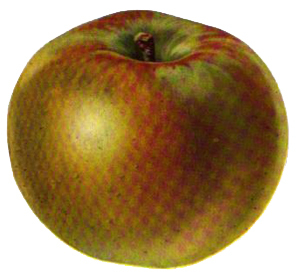 The Ontario Craft Cider Association was created in order for cideries to get on the same playing field as the brewers and Ontario VQA wines – another separate entity. 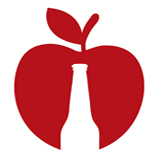 Cideries, like breweries, also face competition with larger manufacturers – but, as the overall cider market continues to increase, so do the bottom lines of the cideries. Mr. Sutcliffe reports Pommies will turn the corner of profitability by the end of 2015. The cidery began, coincidentally, after Mr. Sutcliffe’s wife convinced him to ‘do something’ about the lack of a good, local cider to drink. It now counts the gigantic Real Sports Bar & Grill as one of its accounts. Photo courtesy of Thornbury Village Cidery Inc.
With spring around the corner, cideries in the GTA are entering their busiest time. But places like Pommies, Thornbury and Brickworks are thinking beyond 2015, and to where they will take their businesses. “We’ve bet our lives on it,” says Mr. Sutcliffe. And even with the regular small business worries, Mr. Noll says they’ve never lost sight of why they got into business in the first place: to bring friends together. This entry was posted on March 26, 2015 by btougher in News and tagged Apples, Brickworks, Brickworks Cider, cideries, Craft Cider, left field brewery, OCCA, ontario, ontario craft cider, Ontario Craft Cider Association, orchards, pommies, Pommies Cider, Pommies Dry Cider, thornbury, Thornbury Village Cidery.